Two recent cases from the Texas Supreme Court and the Fifth Circuit Court of Appeals have refined and commented upon the spoliation of evidence doctrine. Both involved the failure to preserve surveillance video evidence. Modern technology has led to the broad use of video surveillance technology that can be preserved, but often requires quick action and judgment before simple passage of time results in loss of what some argue is valuable evidence. Both cases address the respective courts' considerations in determining whether actionable spoliation has occurred and how to apply those factors to the facts in each case involving the failure to preserve video evidence. In the unpublished case of Adams v. Dolgencorp, LLC, No. 13-30746 (5th Cir. 2014), out of Lousiana, the plaintiff claimed that she slipped on a fluid substance later determined to be lotion, claiming damages against the retail store owner. Although the store maintained video surveillance security footage and, by company policy, retained footage from one camera, it only depicted the 30 seconds before the fall and 30 seconds after the fall. It did not depict the portion of the floor where the lotion had spilled or how it got there. The trial court denied the motion to amend the complaint to add a claim for spoliation of evidence on the basis that the surveillance footage preservation policy prevented plaintiff from showing how the lotion had spilled and that enough time had passed to allow the jury to conclude the premises owner was on constructive notice of the spill. The court then granted summary judgment on the basis that the evidence, taken as a whole, did not demonstrate constructive notice of the spill on the part of the store. In reviewing the appeal, the Fifth Circuit Court of Appeals noted that, in Louisiana, an independent tort of spoliation of evidence requires a party to show that there was "… an intentional destruction of evidence carried out for the purpose of depriving an opposing party of its use." The Court of Appeals found that the district court did not abuse its discretion in denying the timely filed amended complaints because neither alleged facts demonstrating that evidence was intentionally destroyed "for the purpose of depriving plaintiff of its use." Unlike Lousiana, Texas does not treat spoliation as a tort, but only as a rule of evidence that can, in proper circumstances, result in an instruction to the jury about the missing evidence. The Texas Supreme Court has also weighed in with a new spoliation of evidence opinion last month in Wackenhut Corp. v. Gutierrez, 2015 Tex. LEXIS 112, 58 Tex. Sup. Ct. J. 289 (Tex. 2015), following up on and applying its 2014 opinion in Brookshire Brothers, Ltd. v. Aldridge, 438 S.W.3d 9 (Tex. 2014): A trial court may submit a spoliation instruction only if it finds that (1) the spoliating party acted with intent to conceal discoverable evidence, or (2) acted negligently and caused the deprivation of any meaningful ability to present a claim or defense. In the underlying case, the plaintiff claimed personal injury damages stemming from a charter bus vs. car wreck. The bus was equipped with four video surveillance cameras that recorded while the bus was running, up to 168 hours (7 days) of video before it looped over and erased previously recorded data. One of the four cameras was positioned to potentially capture the impact, but the recording was not preserved and was eventually looped over. Two days after the accident, plaintiff personally delivered a letter to the owner of the bus detailing the accident and a notice of claim or occurrence was completed by the company at that time. Before trial, plaintiff filed a motion for spoliation of evidence seeking sanctions for intentionally or negligently destroying the video recording of the accident by failing to preserve it. The motion argued that plaintiff should be entitled to a jury instruction that the video would have been unfavorable to the defendant had it been preserved. The court ruled that the defendant negligently spoliated the video and included the spoliation instruction in its jury charge. The court entered a judgment in the amount of $1,201,050.08 following a jury trial. The Texas Supreme Court took up the question of whether failing to preserve the surveillance video could support the sanction of the spoliation instruction. The court first noted that the question of spoliation is one for the court as a matter of law, and the trial court's decision is reviewed under the abuse of discretion standard. The Texas Supreme Court also noted that the trial court expressly found that the defendant did not intentionally spoliate evidence, so the issue turned on whether the failure to preserve the surveillance video could meet the negligent spoliation standard. "To justify the spoliation instruction based on this negligence finding, the spoliation must have irreparably deprived [plaintiff] of any meaningful ability to present his claims." Pointing to testimony from both drivers, witnesses, the responding police officer, photos of the accident, etc., the Texas Supreme Court concluded that plaintiff had an "abundance of available evidence" and that the trial court abused its discretion in giving the spoliation instruction to the jury. 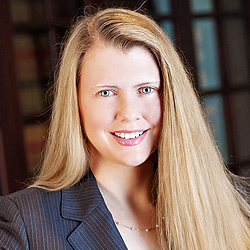 This case provides valuable insight as to the factors applied and considerations undertaken by Texas courts in determining whether to give a spoliation instruction under the negligence prong, including application of applying the "deprivation of meaningful ability to present claims or defenses" requirement. While spoliation of evidence continues to factor significantly into the issuance of preservation letters, discovery and pleadings, courts have continued to refine and clarify the requirements for applying spoliation sanctions or allowing separate spoliation torts to proceed. Even if discoverable evidence was not preserved, courts must still look to the underlying facts, intent of the involved party, and the totality of the impact on the opponent's ability to present its case before allowing spoliation to be a part of the jury's consideration.